Paperback, 6.75 x 9.5 in. / 176 pgs / illustrated throughout. Architecture professor Steven Fleming (aka Dr. Behooving) argues for the bicycle as a transformative force in the design of our cities. Cycle Space is the first book to view the city through the lens--or rearview mirror--of the bicycle. It features portraits of eight major cities and their respective cycling cultures: New York, Chicago, Portland, Amsterdam, Copenhagen, Budapest, São Paolo, Singapore and Sydney. Each of these cities has seen a groundswell of cyclists taking to its streets in recent years. 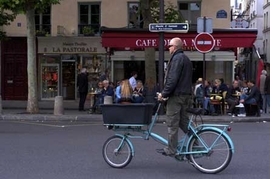 From death-defying bike messengers to hipsters with a taste for cycle chic to commuters simply riding to work, cycling is now being viewed as more than just an alternative: it’s practical; it’s cool; it’s green. 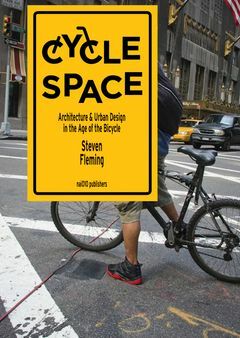 In Cycle Space, architecture professor and cycling enthusiast Steven Fleming (or Dr. Behooving, as he is known to those who follow his blog, Behooving Moving) suggests new ways of designing better cities, thereby reducing emissions, commute times, ill health and sprawl in the process. Not only can architecture and urban design begin to optimize conditions for cycling; they can also take inspiration from the aesthetics and ethics of cycling as well. Fleming argues that understanding why more and more people are choosing bikes is key for discovering the full potential of the bicycle as a transformative force in the design of our cities. Cycle Space is a must-read for anyone interested in the nexus of architecture, cycling and urban design. Featured image is reproduced from Cycle Space. 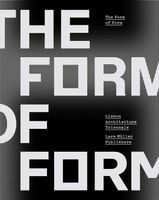 Text by Stefan Bendiks, Aglaée Degros. FORMAT: Pbk, 6.75 x 9.5 in. / 176 pgs / illustrated throughout.